When was the last time you had fun while you were working? When was the last time you held a position you were passionate about ? When was the last time you were fully engaged? This high-paying opportunity is a 100% remote position. You will never have to fight traffic to the office again and you will have the freedom to choose when and where you complete your 25 hours (minimum) to be most effective each week. 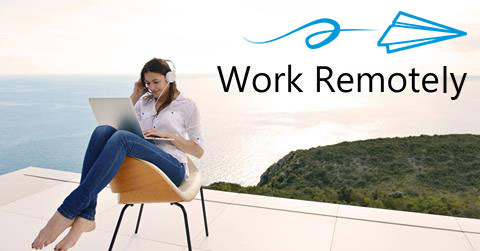 Flexible Work Schedule – When you work with Referrizer, you work when you want, from wherever you want, as long as you complete your designated weekly hours. Performance driven team environment: – We are a fast-growing, technology company with a team of over 50 people worldwide. What’s great about Referrizer is that each and every voice is heard and we love to empower our teammates and help them grow. Great Earnings and Residual Income – People with Call Center and Sales Experience can earn $50K per year. If you are a STAR you can make $120K or more per year. LIFETIME RESIDUAL COMPENSATION means that even if you are no longer with Referrizer, you will still earn residual compensation for the lifetime of your sold accounts. Constant Learning and GROWTH – Everyone has a chance to learn, grow, and excel. Personality – Ambitious people who are great to work with. Commitment – People who can dedicate at least 25 hours per week.